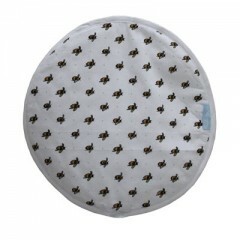 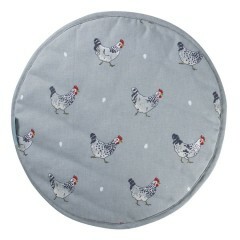 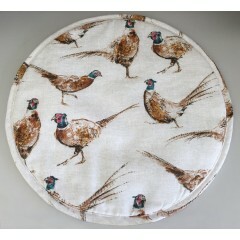 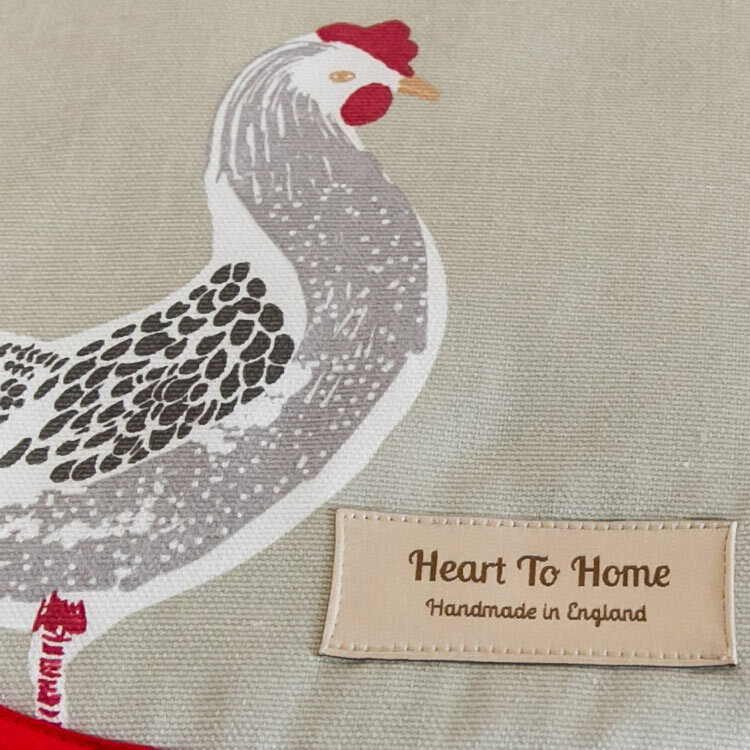 We love chickens at Heart to Home, so none of our regular customers will be surprised to discover something plump, brown and feathery decorating one of the very first products in our own range of kitchen linens. 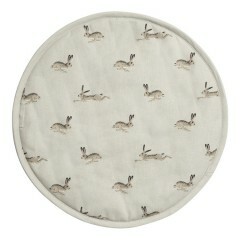 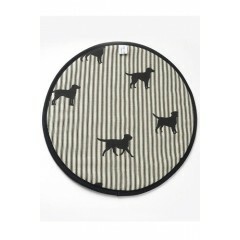 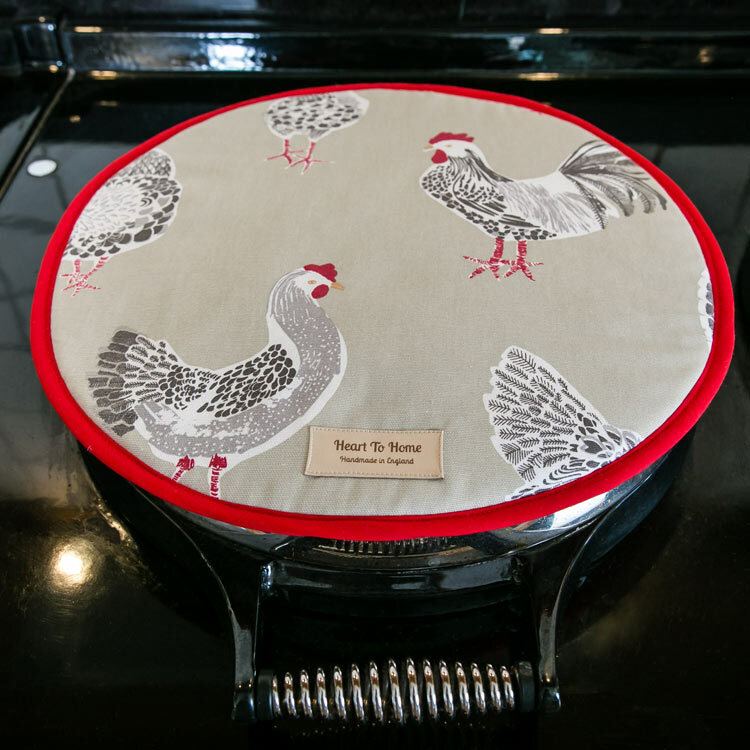 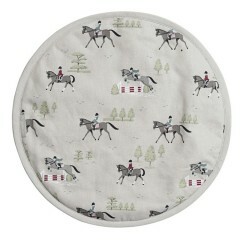 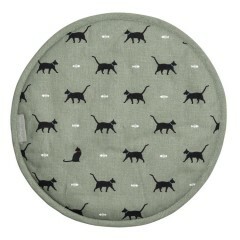 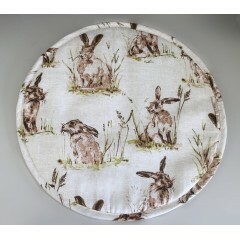 We've made sure that this enchanting hob cover will protect your hob lids for years to come by using sturdy fabric that's tough enough for upholstery. 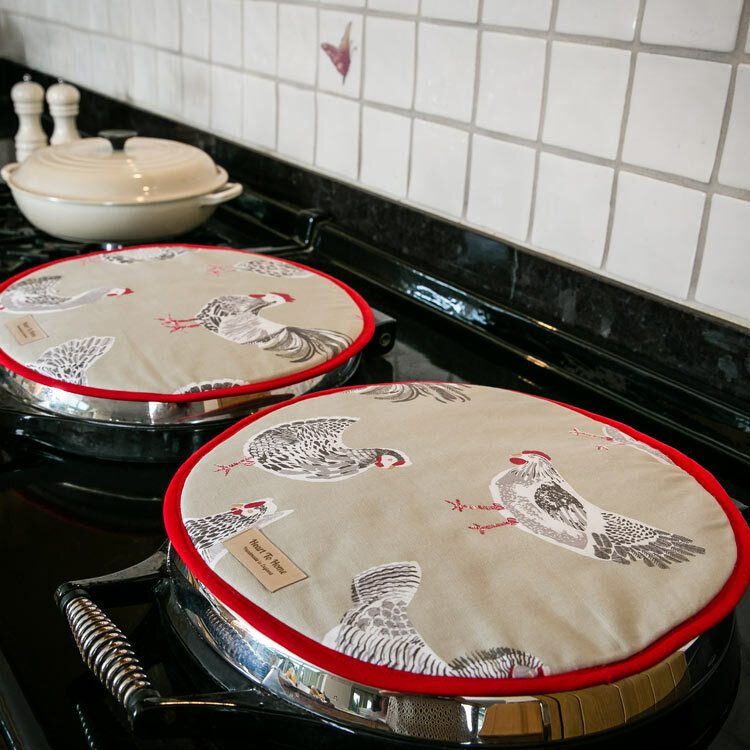 And it's backed with terry cloth, so it won't slip when you place dishes and plates on top to keep them warm while you cook. 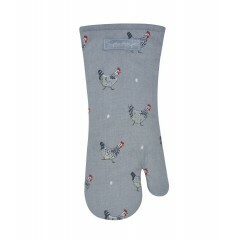 What's more, we've used 100% polyester felt filling inside - made by Fybagrate in West Yorkshire - to make them completely heat-proof. 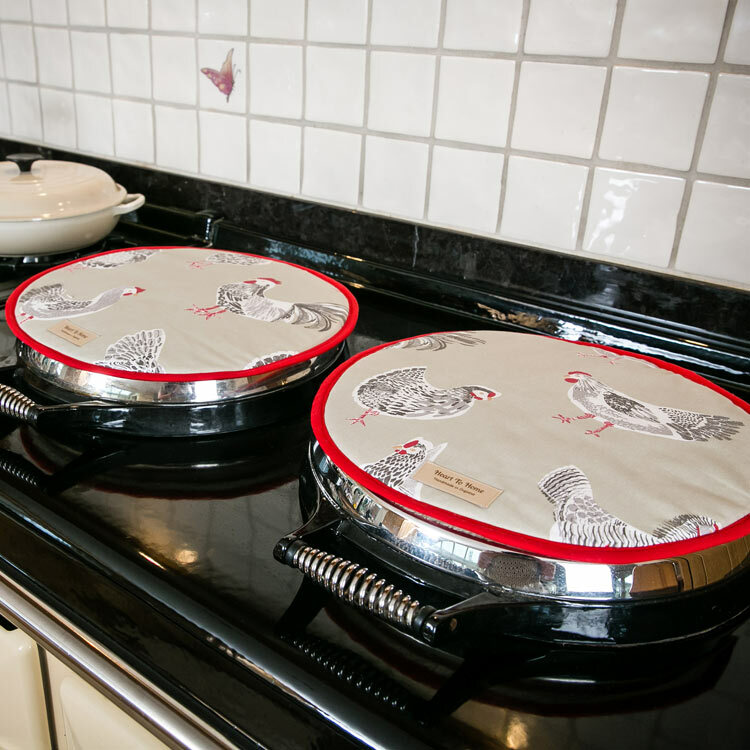 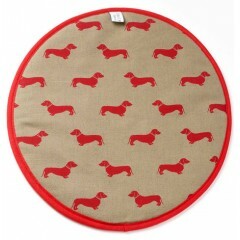 The felt is made from recycled plastic bottles manufactured to meet the insulation specification required to pass BS 6526 for domestic oven gloves, so if you need to grab one of your hob covers in a hurry to pick up a hot roasting tray, you can be confident you won't get burned.